Fancy a Magic Carpet Ride? 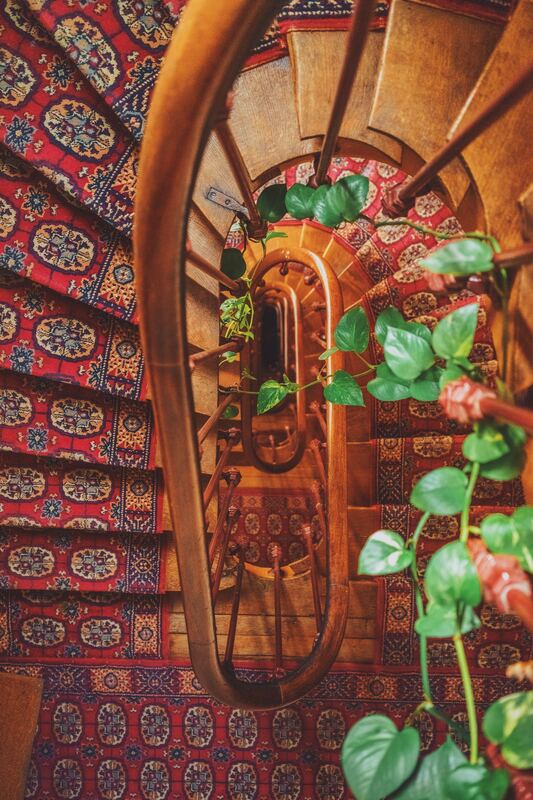 Transport yourself to an exotic land with a diverse range of exquisite carpets. Magic carpets may only exist in the realm of classic stories such as Disney’s Aladdin, however the effect and appeal of a carpet doesn’t end at the closing of a fairy tale book. 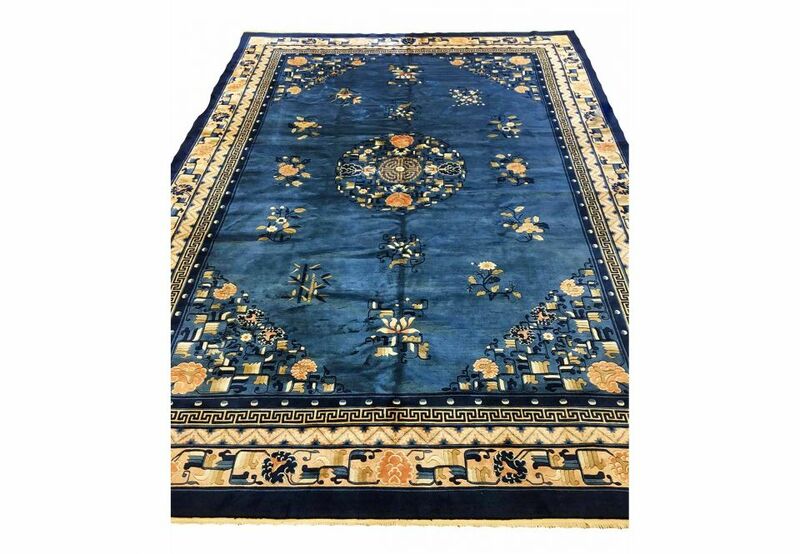 Rugs have been used to decorate homes and provide warmth for centuries, though of course have existed for even longer, since approximately 5th-4th century BC from the Altai Mountains in Siberia. 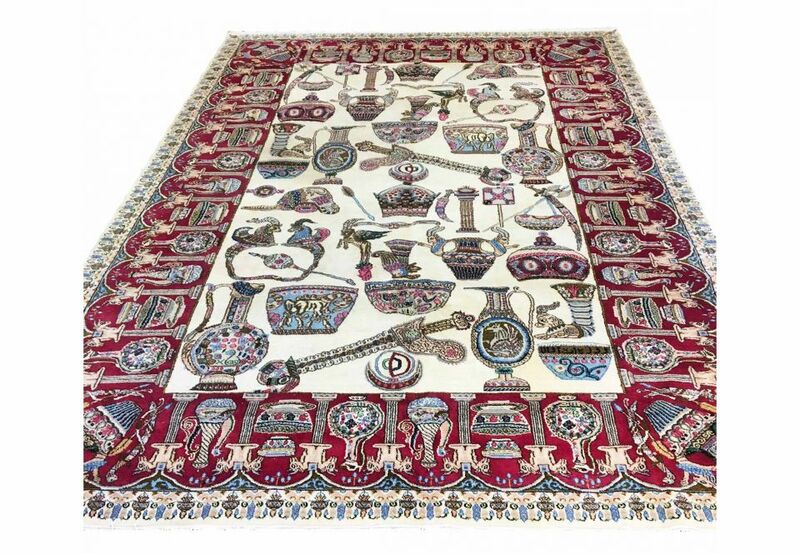 For those looking to lavish their floors with beautifully-patterned carpets, Chelsea-based auction house Lots Road has a forthcoming sale on Sunday 10 March to fit all your needs. Lots Road’s sale includes ten variations of carpets, rugs and textiles, including this 337 x 245 cm Chinese Peking carpet. The intricate and delicate patterns on this are brought to the fore in a variation of colours including sapphire and rose. 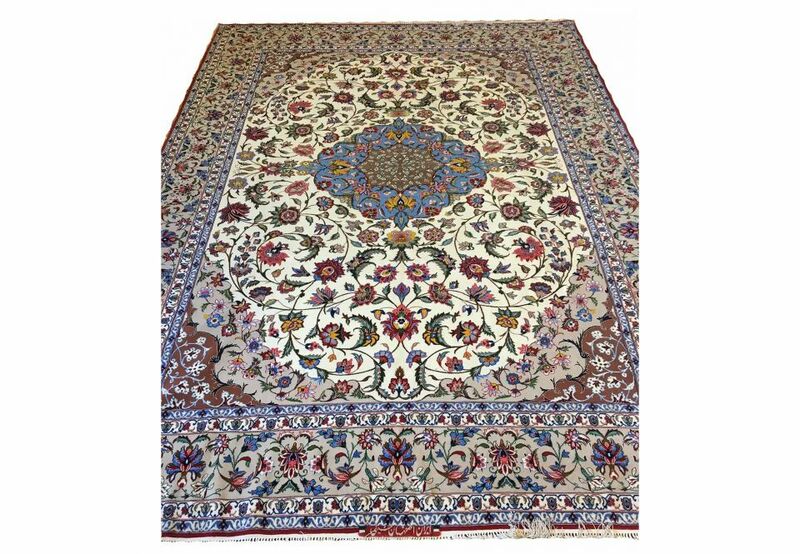 This vintage Persian Laver ‘antiquity’ carpet, measuring 320 x 220 cm, features heavier patterning with bolder and larger icons, and would be well suited to a minimalist room. 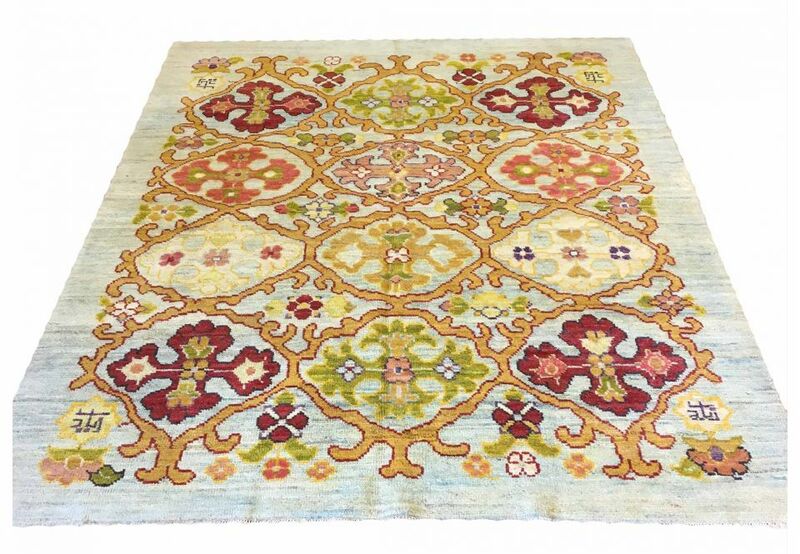 At 214 x 174 cm, this Oushak carpet includes sunny yellows, oranges, reds and greens. Oushak carpets are a Turkish carpet that use a particular family of designs called by convention after the city of Uşak.